$174.99 & FREE Shipping on orders over $59. 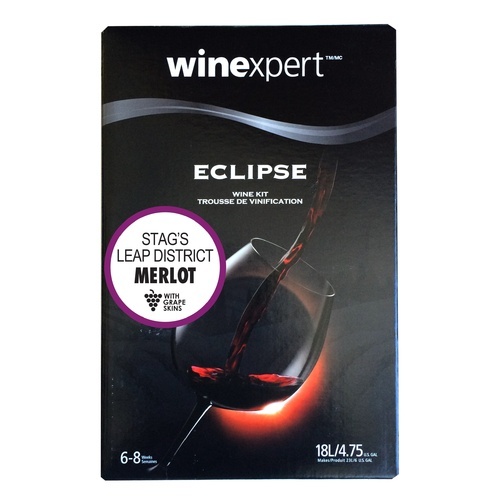 The top of the line from Winexpert, Eclipse uses the finest quality varietal juice from around the world. These wines will satisfy even the most practiced of palates. They are ready to bottle in 2 months and ideally drunk 6-12 months after bottling. Rich Vanilla, elegant black cherry, red plum, and a smooth, lingering finish. This is really good. Friends and neighbors think this is a $20.00/bottle of wine. Best after a year setting however.